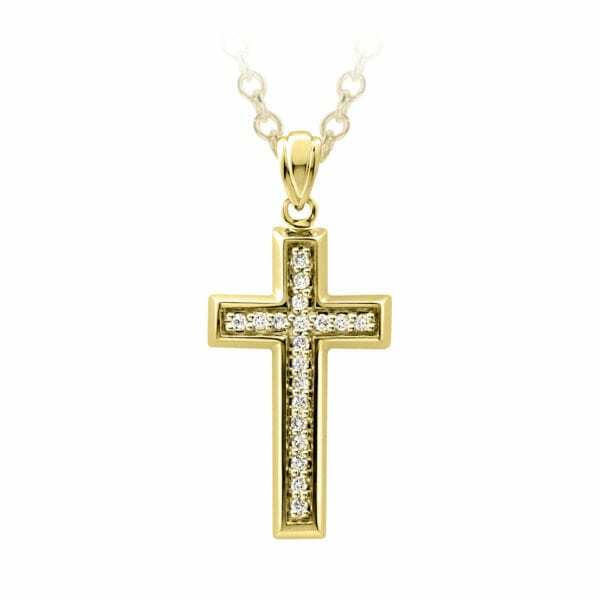 10 karat gold diamond cross with 18 inch chain. Available in white and yellow gold. I am requesting information for Gold Diamond Cross Pendant.